This lesson will be much easier to follow if you’re familiar with the terminology. Terms like “stanchion” and “anchor” will be popping up throughout this lesson. 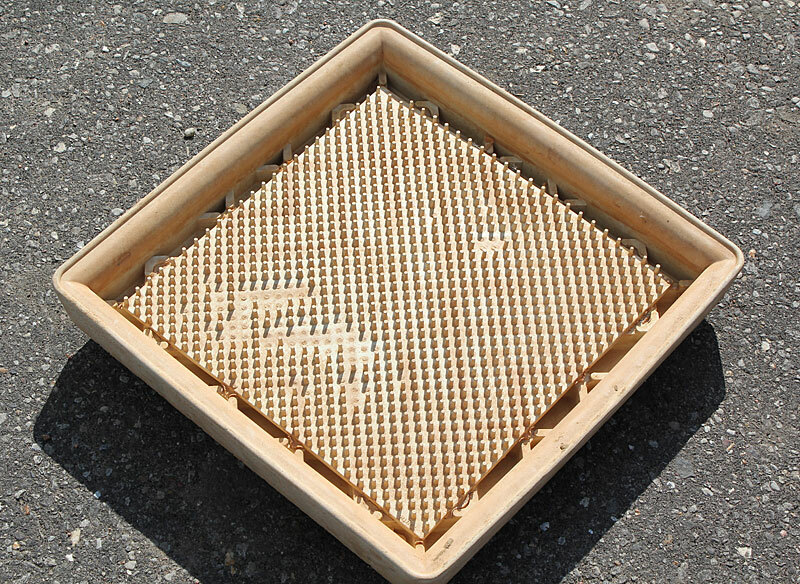 And tools such as the base scoop or digout tool are important to know as well. 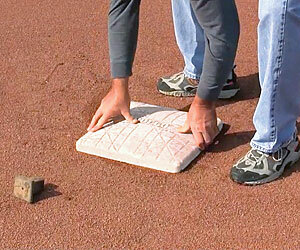 Watch the video on the next slide for an introduction to bases terminology. This brief video is the perfect intro to get you familiar with the various parts of a base and tools you’ll be using. 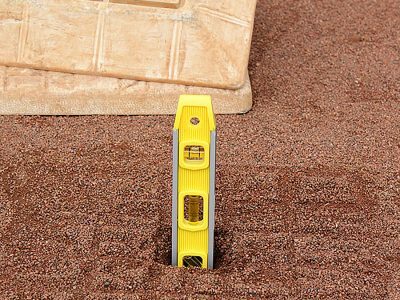 The log will not only help you track the condition of your bases to determine when or if maintenance is required, it could also help you in a liability dispute should someone get injured running the bases on your field. 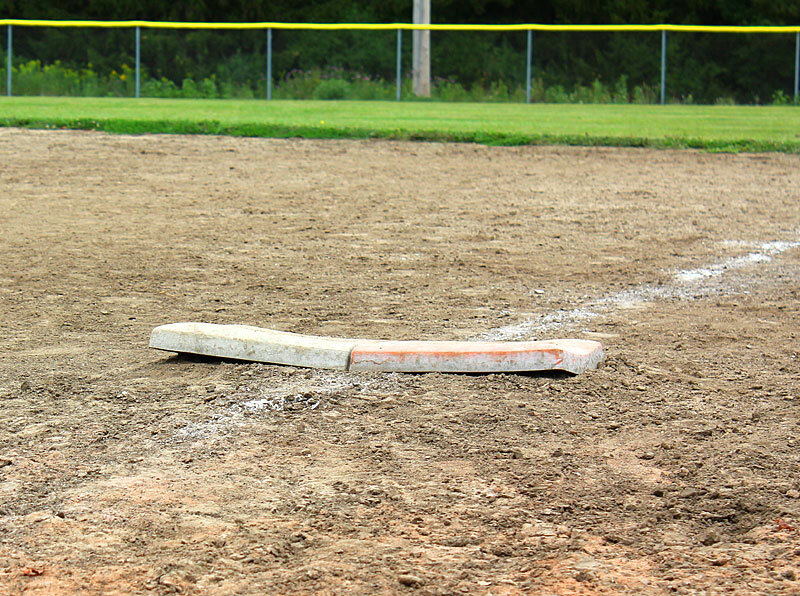 The log will show a consistent effort to monitor and maintain your bases, and it will accurately state the condition of the bases at the time of any incident. 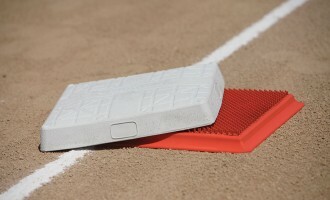 Base covers can be made from many different materials. 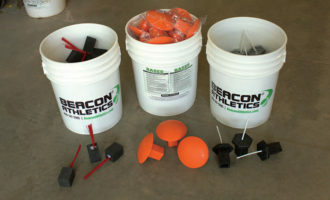 Rubber, vinyl, and urethane are commonly used materials. 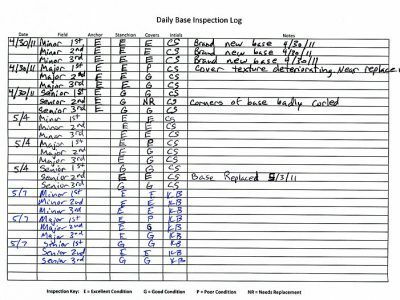 Different materials may wear in different ways, but with all materials there are a couple things to look for and note in your Inspection Log. In addition, if you paint your bases regularly for a brighter look, the accumulating paint can harden up the base cover and a thickening paint shell can diminish the texture making the base more slippery. 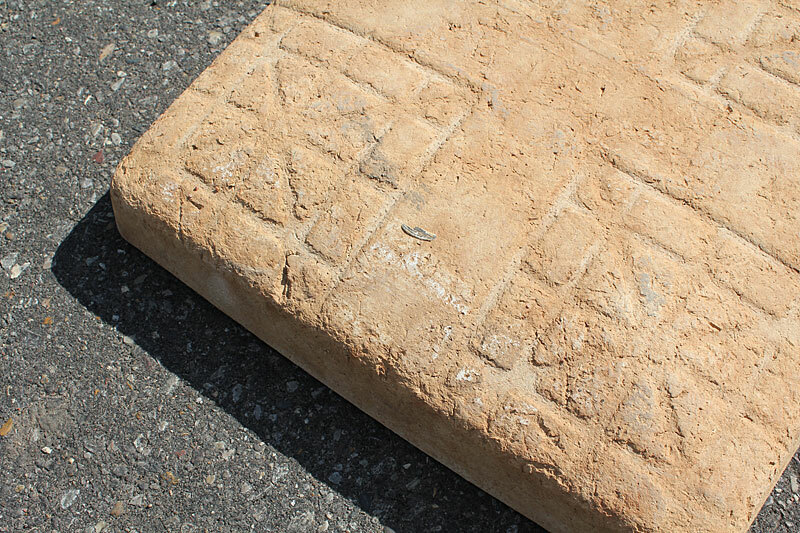 These images show you some worn bases with common symptoms of a base that is wearing out. 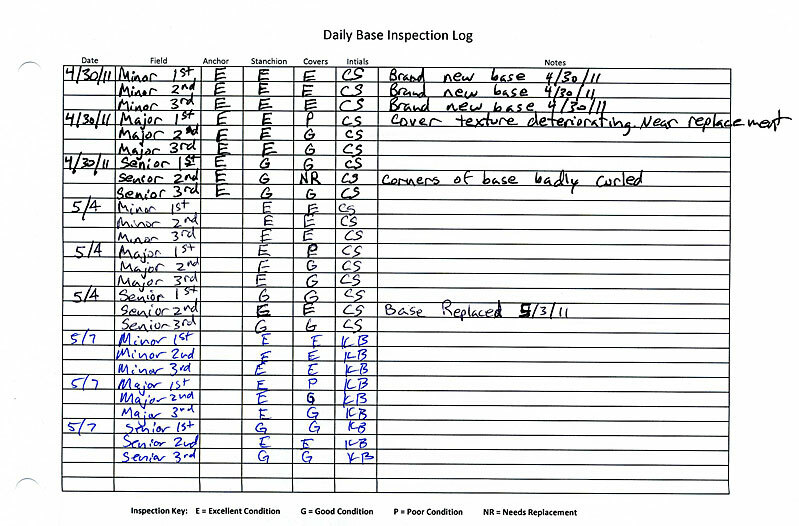 Always note the base condition in your inspection log so you can clearly track any problems and the rate of decline for a particular base. 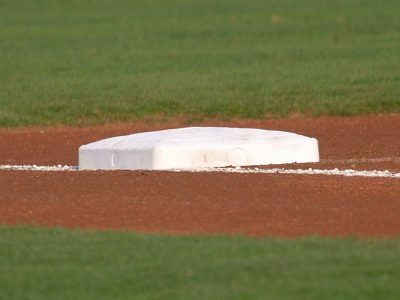 Does the base sit flat, or do the edges curl upward? 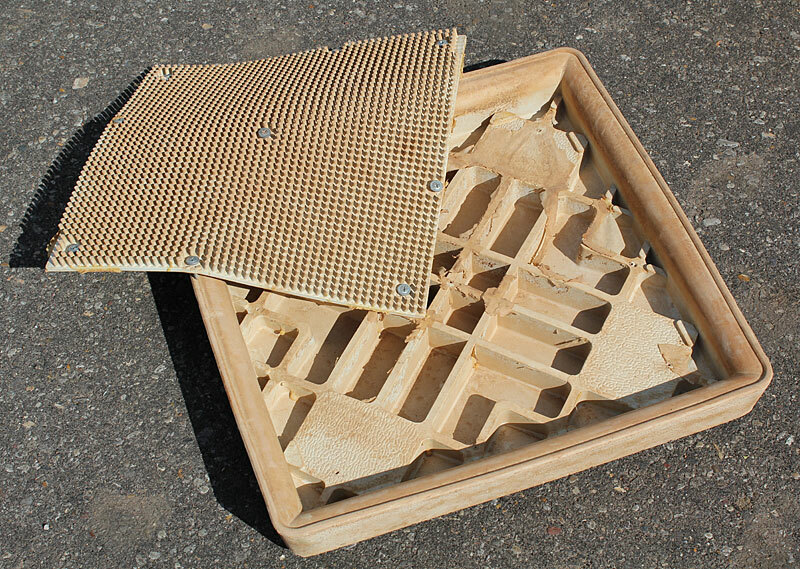 Is the cover brittle and prone to easy cracking? Is there enough texture for good traction? 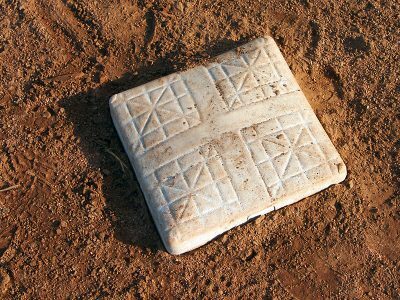 With breakaway bases, make sure the base cover and the anchor base are in good working condition — not just the cover. 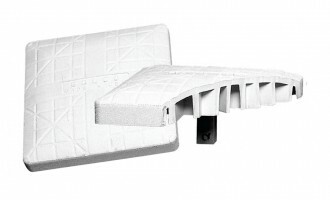 Click the photos to see examples of base cover wear & tear. 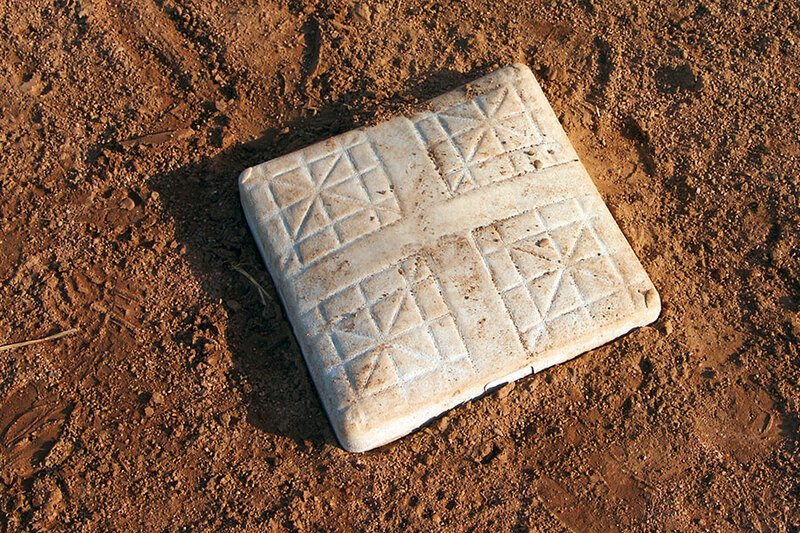 Many bases have a steel or cast stanchion on the bottom of the base. The stanchion is the square shaft that goes over or inside the ground anchor in the field. 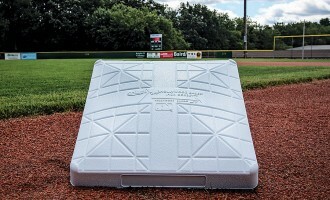 They should be inspected regularly — at least a couple times a week — just like base covers. Stanchions can be welded to a metal plate or directly bolted to the base. Either way, the stanchion should be firmly attached to the base. 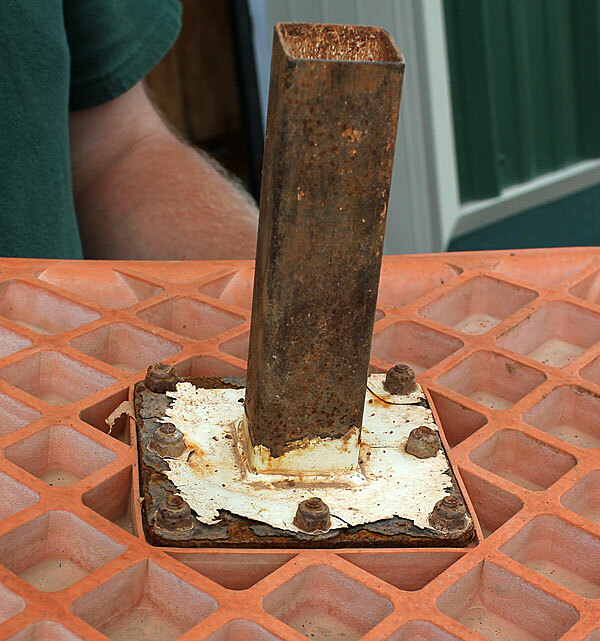 Inspect the stanchion for excessive rust or failing welds. 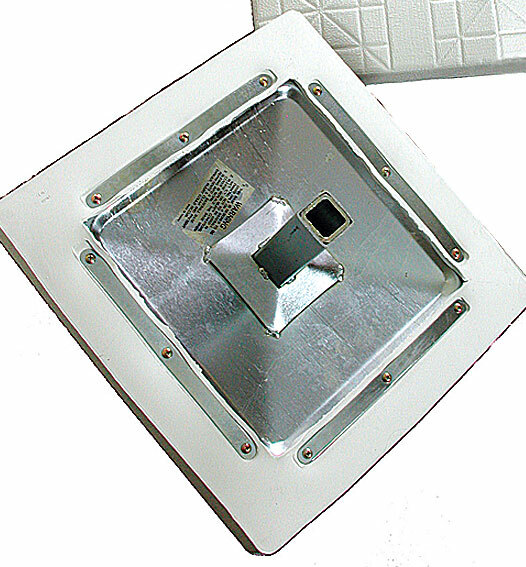 If the stanchion is bolted to the base like the one shown, check for missing or loose bolts and tighten or replace them. Then grab the stanchion and attempt to wiggle it… any sign of movement should be logged and the base should be considered for replacement. You only need to inspect base anchors a couple times a year, but checking anchors in colder climates is more critical with the freezing and thawing of the ground which can cause your anchor to shift out of position over time. 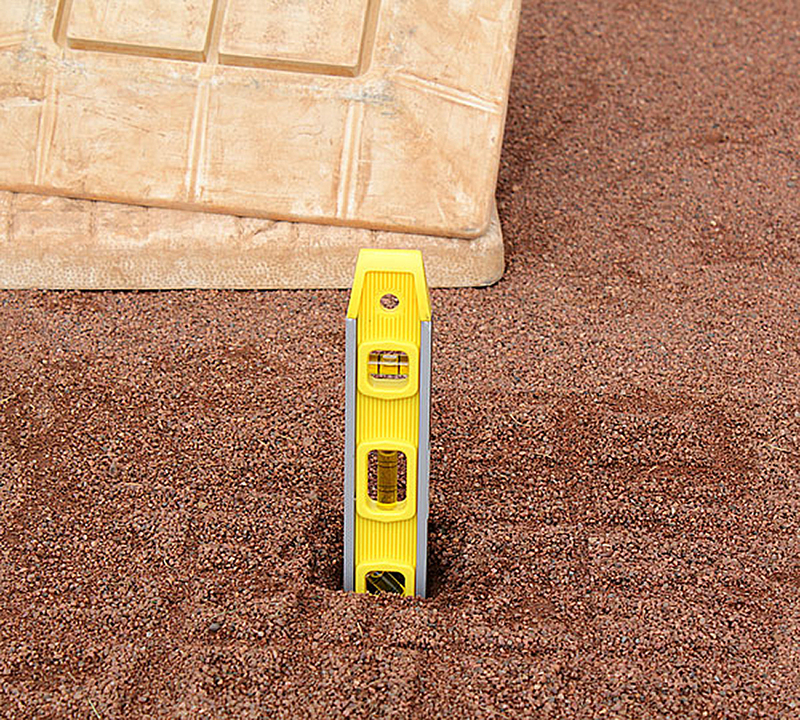 Most anchors are either 1″ male or 1-1/2″ female square steel tubing concreted or pounded into your infield skin. You’ll need to make sure your anchors are plumb using a small torpedo level. Log the alignment and if the anchors are out of plumb, they may need to be pulled out of the ground and reinstalled for proper alignment. 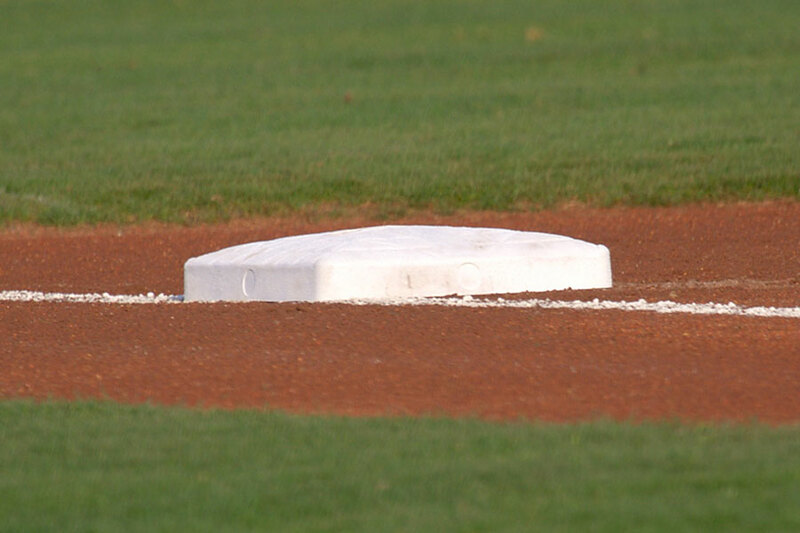 If you clean your bases regularly they’ll maintain a nice white appearance and retain their texture for safer play. 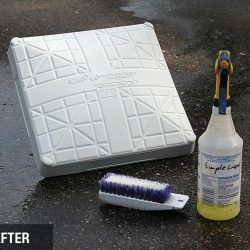 The other option is to paint them, but paint can build up if bases are repainted regularly, diminishing their texture and hardening the base which will make it slippery and unsafe for base runners. 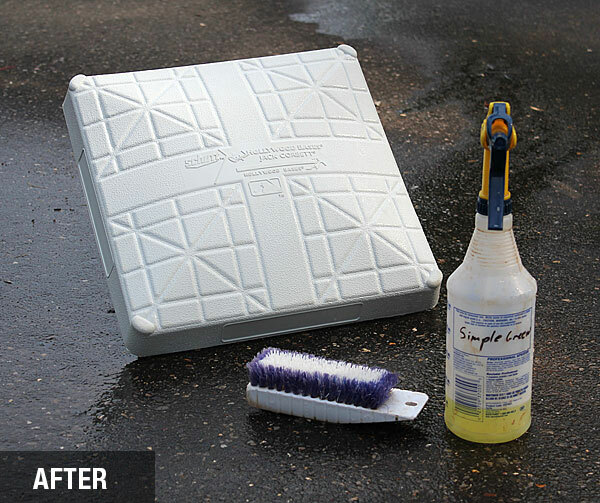 For best results, we recommend cleaning over painting. 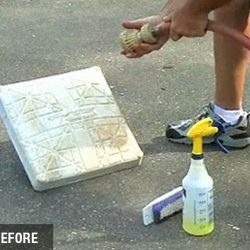 Rinse the base with water, then spray cleaning solution on the base (a little will go a long way). Scrub aggressively in a circular motion. Don’t forget the sides and corners. 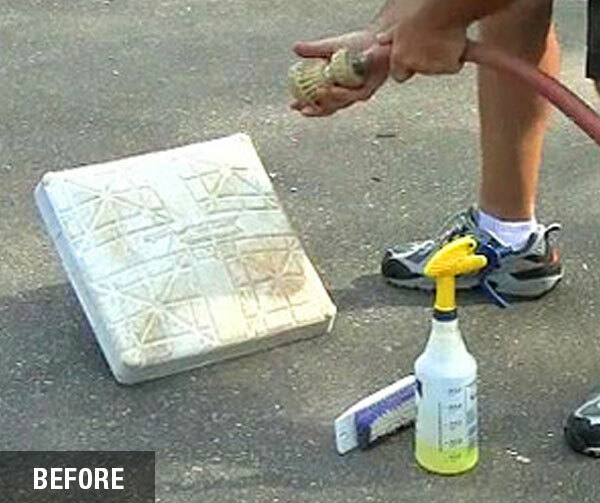 Rinse and repeat until the base is nice and white, then let it air dry (click image at right). You are now familiar with some important factors in safety and care with regards to bases. 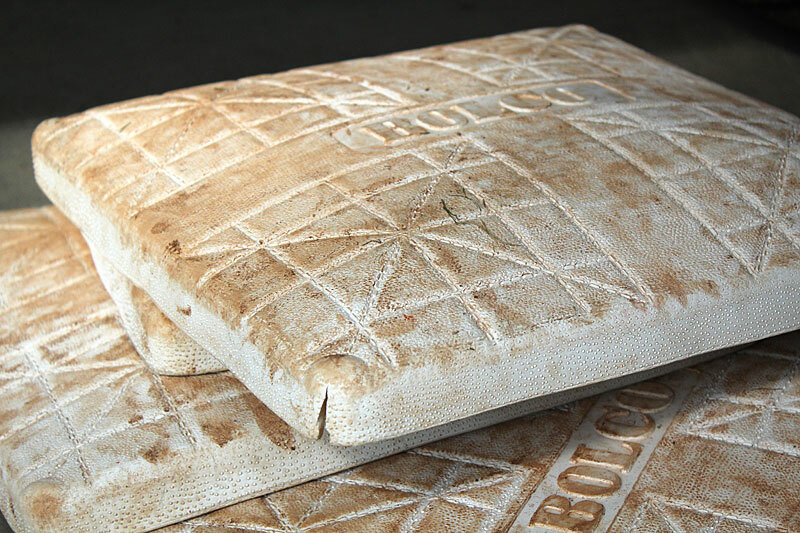 But that’s only part of the story when it comes to bases. 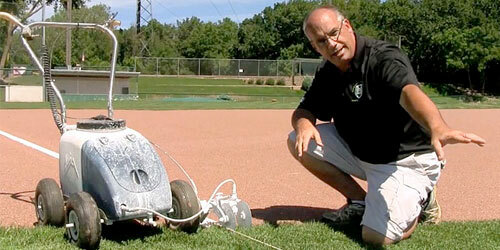 In the next lesson you’ll see what goes into on-field maintenance and base placement.